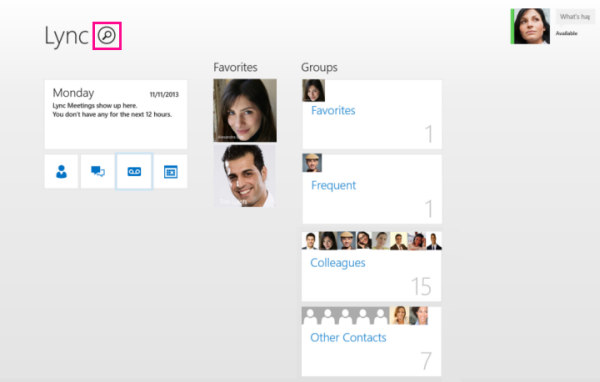 Select the search button on the Lync home screen. Type the contact’s name or phone number in the search text box. To search for a contact outside your company, type the contact’s email address. In the search results, select the contact to see the different ways you can connect with the contact.